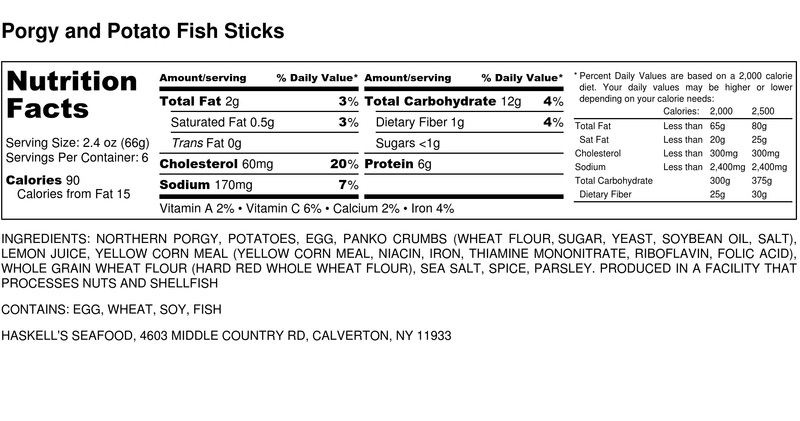 These delicious fish sticks are the star of Haskell’s “Sustainable Seafood School Lunch Program”! Released as a special recipe for our local schools, the students enjoyed them so much that we had to make them available at all times. Porgy is a mild and sustainable fish that is abundant in our local waters. 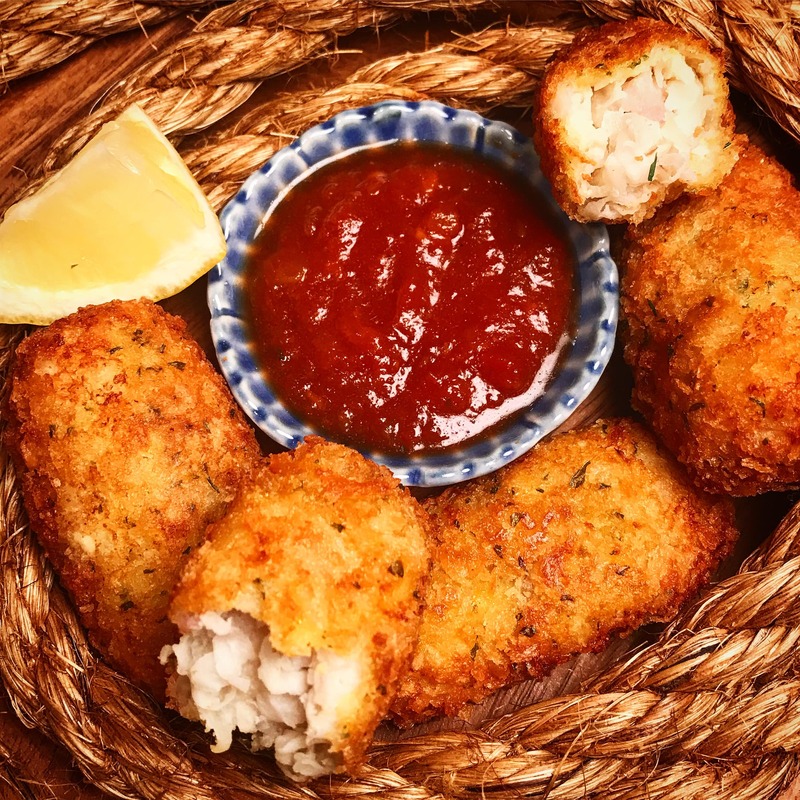 We shred Long Island potato and combine it with cut porgy fillet which offers a wonderful and familiar consistency similar to a hash brown. We promise, the kids will love it!